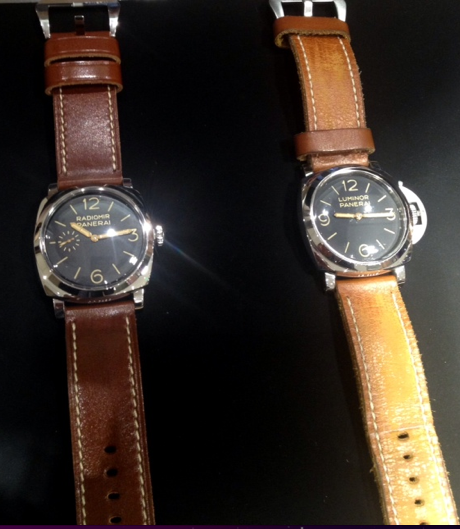 I think its safe to say that I have a mild obsession with Panerai watches. This is the only brand that I can say I have owned more than two different models of. 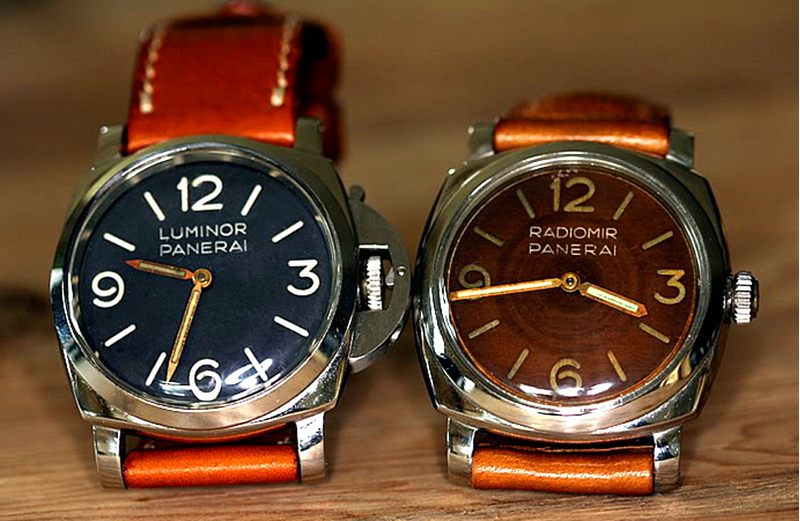 I have owned a total of 5 Panerai watches since my fixation started in 2002. 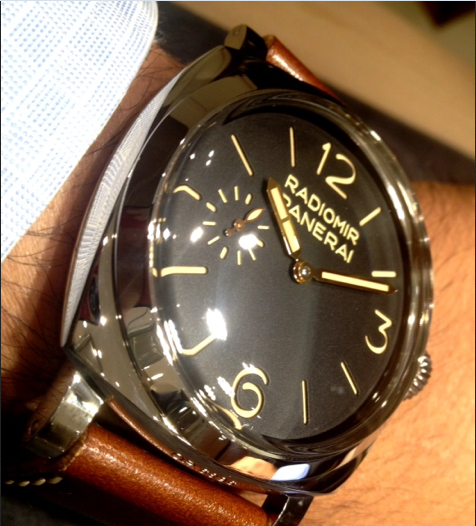 Today, I only have one watch and that is the coveted Panerai PAM00372. I have closely followed Panerais journey since the very beginning. I am extremely impressed with their commitment to pushing the envelope by releasing new novelties, digging deep into the archives to revive some sleeping giants, and using innovation to stay in-house and current while maintaining brand identity. 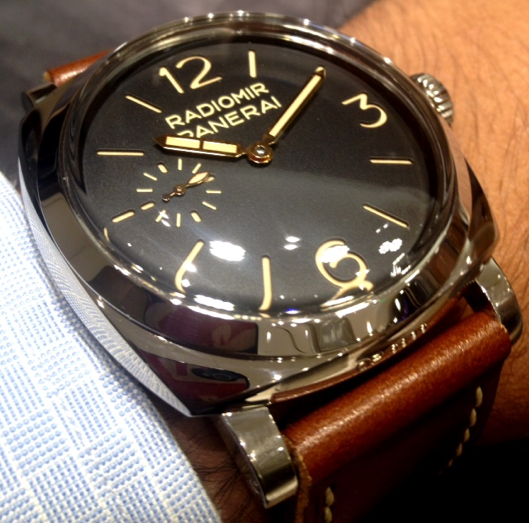 The watch that started it all for Panerai and was the icon from the beginning is the Panerai PAM00111. 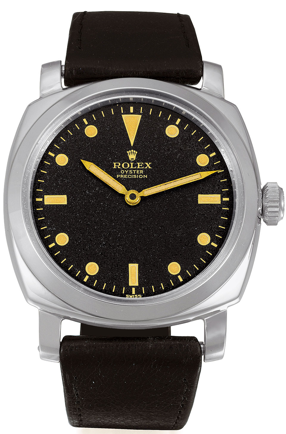 This is the watch that was used in all their original ad campaigns from Day 1. 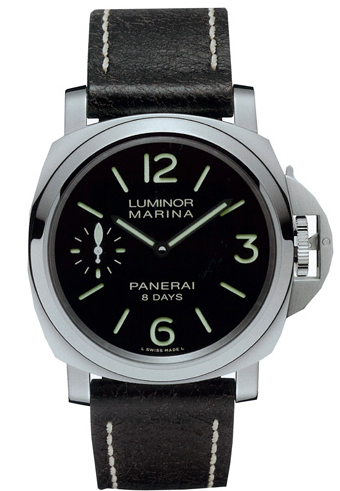 The Luminor Marina is to Panerai as the Submariner is to Rolex. Even though the PAM00111 is very much in the current Panerai collection, this watch will be phased out and replaced with an entirely new reference number, movement, dial and strap , known as the PAM00510. The current PAM00111 has a hand wound movement, a sandwich dial, 44 mm stainless steel case, and is fitted on a tan strap, and retails for $6,800. 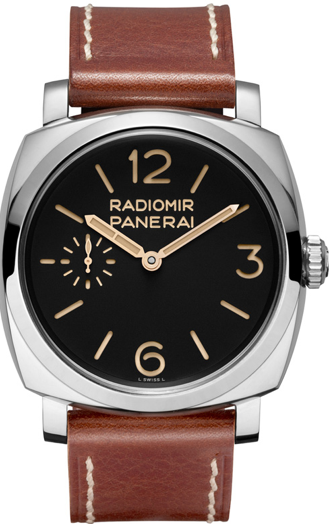 The new Pam00510 will retail for only $400 more than the current PAM00111, at a retail of $7,200, which is impressive considering it has an entirely new movement which is entirely in-house and manufactured by Panerai. This is a historic and technical milestone for Panerai, because it’s the first time that Panerai will be using the new P5000 hand wound 8 day movement in any of their watches. The only thing I am not crazy about on this watch is that above the six o’clock position, between where Panerai is written on the dial, they have decided to write 8 days. This definitely changes the aesthetic of the dial completely and doesn’t look as clean as the PAM00111, but only time will tell what the reception to this will be. Personally, I am a less is more kind of guy, but some people may actually like this new addition to the dial. This watch is also fitted with a new black strap with contrasting white stitching. Hopefully, this watch should deliver before the holidays around Christmas time 2013. 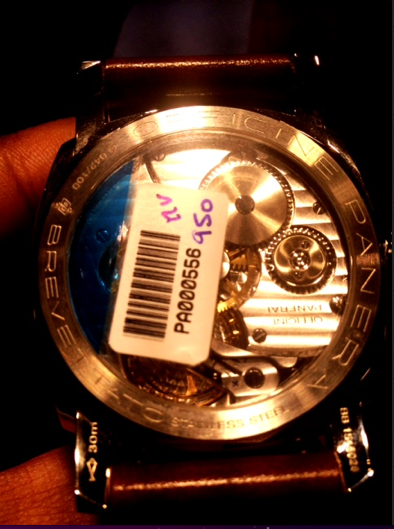 Today, Panerai is 70% manufactured in-house movements 30% other movements. The new PAM00510 is the next logical step that will assist Panerai in becoming 100% in house manufacturer within the next few years. 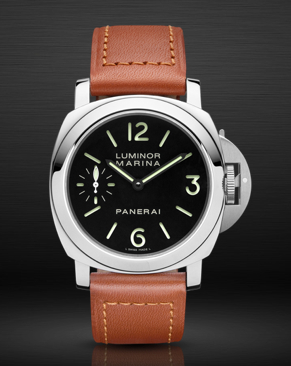 Those of you who want a piece of early Panerai still can with the Panerai PAM00111. It will only be around for a little while longer, I guarantee that once its discontinued and sold out, it will become seriously collectible. Hand-wound mechanical, exclusive Panerai OP XI calibre, 16½ lignes, 17 jewels, Glucydur® balance, 21,600 alternations/hour. Incabloc® anti-shock device. Swan’s neck regulator. Power reserve 56 hours. Côtes de Genève decoration on the bridges. It is tested and certified by C.O.S.C. Diameter 44 mm, AISI 316L Polished steel . Black with luminous Arabic numerals and markers. Seconds at 9 o’clock.